Punk’d – Ancient Rome Style! | hesaidwhatnow? Punk’d – Ancient Rome Style! Everyone loves a prank, particularly when they’re not on the receiving end. Whether it’s putting cling wrap on the toilet seat, bubble wrapping every item in a colleague’s office, or telling your parents that you’re dropping out of high school because you’re pregnant to your maths teacher, pranks can be amazing things. Last week, a bunch of New Zealanders pulled off a brilliant prank: they rigged the taps of a friend’s house so that they poured beer instead of water. When their friend and his partner left their home, the pranksters got under the house with a toolbox and several kegs of beer. With some serious plumbing skills, they connected every tap in the house to a keg, and installed 14 hidden cameras to watch the couple’s reaction when they returned home. The prank was gold – as was the liquid that poured from every tap the Aucklander turned on. Whilst this meant that the victim enjoyed a few cool glasses of ale, it also meant that taking a shower didn’t really help him get clean. Also I’m not sure how the lawn fared, although I imagine running through the sprinkler would have been fun (and a little unhealthy for the kids). That’s some elaborate pranking, sure, but when it comes to executing pranks on a grand scale, and with no concept of sanity, no one quite did it like my favourite prankster of all time: Elagabalus. Don’t know who that is? Well let me paint you a picture. Elagabalus was creative, so his pranks had never been done before. He was rich, so cost was no barrier to their execution. And he was thoroughly insane, so the pranks were always bizarre and often dangerous. Oh, and he was a fourteen-year-old Emperor of Ancient Rome. In 217 A.D., Roman Emperor Caracalla was assassinated and replaced by prefect Marcus Opellius Macrinus. Caracalla’s devious aunt, Julia Maesa, successfully plotted to have Macrinus overthrown and to instate Caracalla’s cousin – her grandson – as Emperor instead. That person happened to be Elagabalus, who was fourteen at the time. What do you do when you’re fourteen years old and your grandmother makes you ruler of the most powerful Empire in the known world? You use your newfound power and riches to become the craziest prankster that ever lived. Now, it should be pointed out that some modern historians are a little sceptical about the truth of some of these stories, but all of what you are about to read comes from texts such as the Augustan History, and contemporaneous accounts such as those written by Cassius Dio, a Roman senator. So as far as I’m concerned, they’re all true. Please be all true. Elagabalus was eccentric – he often had flakes of gold sprinkled over his food and he liked to dress as a woman – so it’s no real surprise that he liked to pull pranks. For example, he created a device that he slipped onto the chairs of his dinner guests that when sat upon, made it sound like the victim had let off wind. 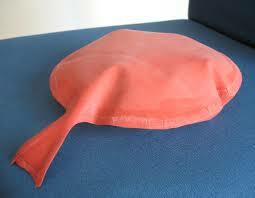 Yes, a Roman Emperor invented the whoopee cushion. Property of Elagabalus. Patent pending. That’s not all Elagabalus invented. His eccentricities and insistence on imposing his unorthodox religious beliefs on the Roman populace made him start to become an unpopular ruler. So to win the people back, Elagabalus created a lottery, thought to be the first ever in Europe. He gave away tickets to the public, and some of the recipients won prizes just like in modern lotteries. Well, maybe not exactly like modern lotteries; sometimes the winning prize was a slave. However this soon got boring for Elagabalus, so to spice things up he began distributing the lottery tickets by catapulting them into crowds and watching them fight amongst each other to claim them. Even that got boring, so next he decided to prank the citizens by firing something else into the crowds at the same time as the lottery tickets. Way to win back the people, Elagabalus. He didn’t stop there. Soon he began pranking the lottery winners themselves. The winners would receive a prize, not knowing what it was. Sometimes they would open the prize box to see that it contained money. Other times, the box would contain a dead dog or a swarm of wasps. Every now and then it would contain an order for the winner to be executed. Classic! It wasn’t even safe being friends with Elagabalus, as he loved nothing more than to prank his dinner guests as well. Of course there were the whoopee cushions, but he had other tricks up his sleeves. Way before Heston Blumenthal had his cooking show, Heston’s Feasts, Elagabalus served food to his guests that looked like one thing, but were in fact another. Unlike Heston’s Feasts, though, his prank foods weren’t things like meat prepared to look like fruit, or cutlery that was edible. Rather, he presented rocks disguised as food. Apparently he loved nothing more than to watch his guests bite into what they thought was an apple, only to break their teeth on a rock. What a jester! It was said that during one of his dinner parties he had installed a mechanism that dropped hundreds of thousands of rose petals on an unsuspecting guest, only for the guest to suffocate under the mountain of petals. Just a guess, but I’d say that’s probably the only time a coroner’s certificate ever read, ‘Death by petals’. Perhaps the prank Elagabalus is most famous for is this one. Elagabalus’ guests would be invited to stay the night after their feasts, his palace’s many bedrooms available for all. What his guests wouldn’t know is that he would place a special surprise in a few of the random rooms. Yes, it filled Elagabalus with no end of joy to know that some of his guests would open their bedroom door to receive the shock of their life. A life that would no doubt end a few seconds later. Given his propensity for insane hijinks, it’s no surprise that in 222 A.D., just four years after coming to power, Elagabalus was assassinated. Was a disgruntled prank victim behind the plot to kill him? No, it was Julia Maesa, the same grandmother that made him Emperor in the first place. Lil Ol’ Granny Julia: destroying Emperors and stereotypes! So next time you are thinking about pranking someone, remember the fine tradition that Elagabalus set many centuries ago, and try to emulate his creativity. Just remember to not take things too far, else you might find yourself killed by your grandmother. This is clever and entertaining! You kept my attention from beginning to end. From a lover of history, well done. Wow, I really liked what you did! Entertaining and informational!!! Thank you for helping me with my project! It really helped.